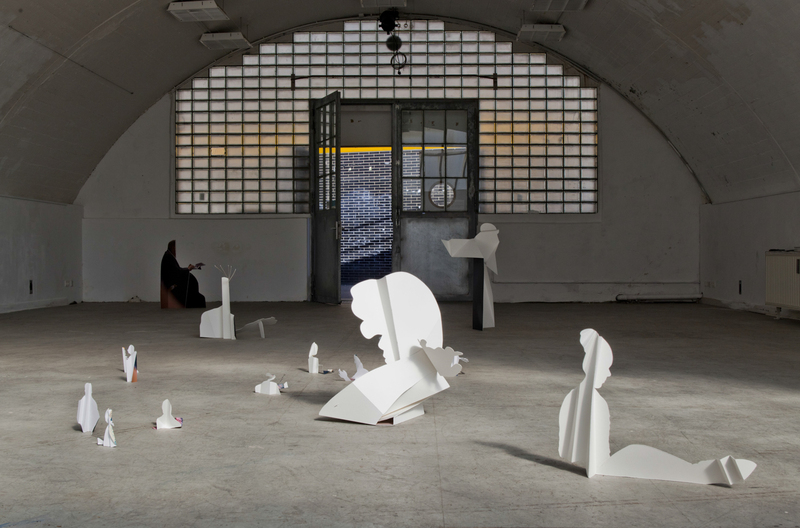 Farewells transforms a large space underneath railway arches into a station where people in transit meet. 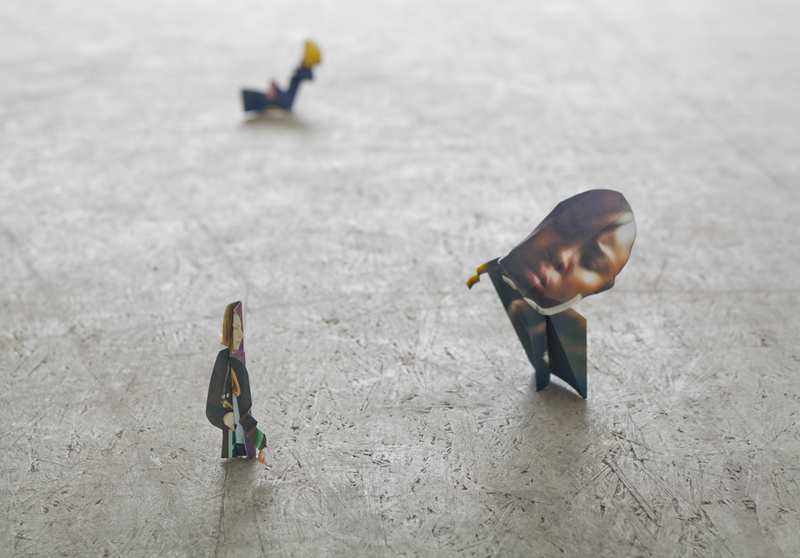 Theme is the journey in all its aspects. 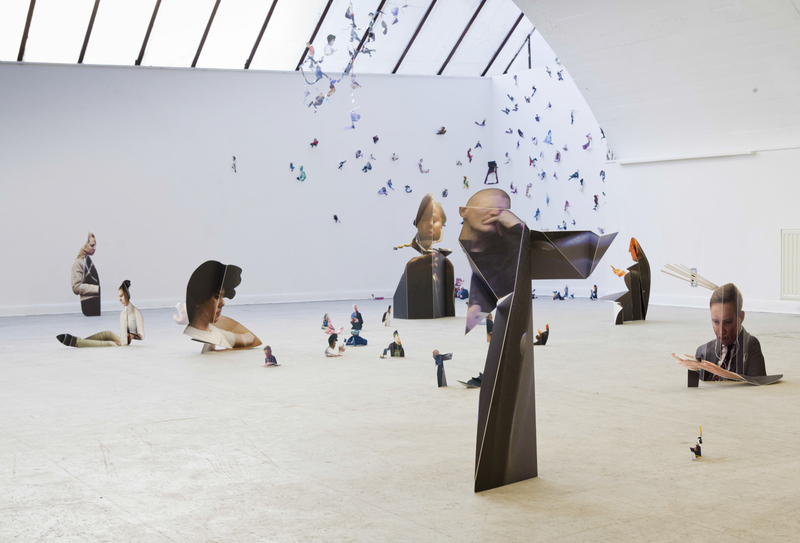 There is a movement of hundreds of three – dimensional figures of various sizes throughout the space. 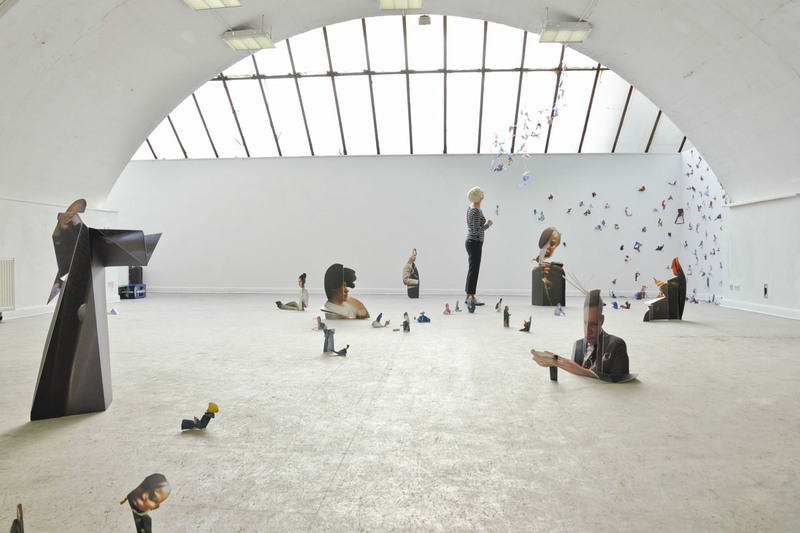 They populate the floor or wall space, while others are ceiling bound. 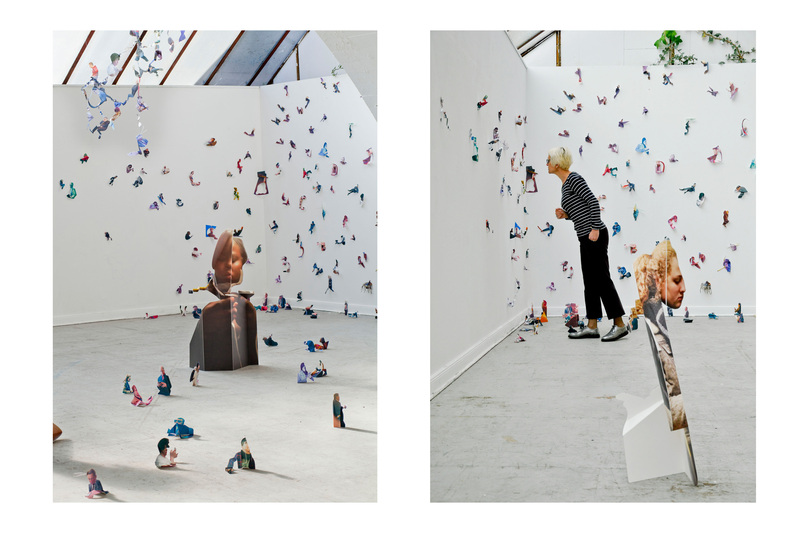 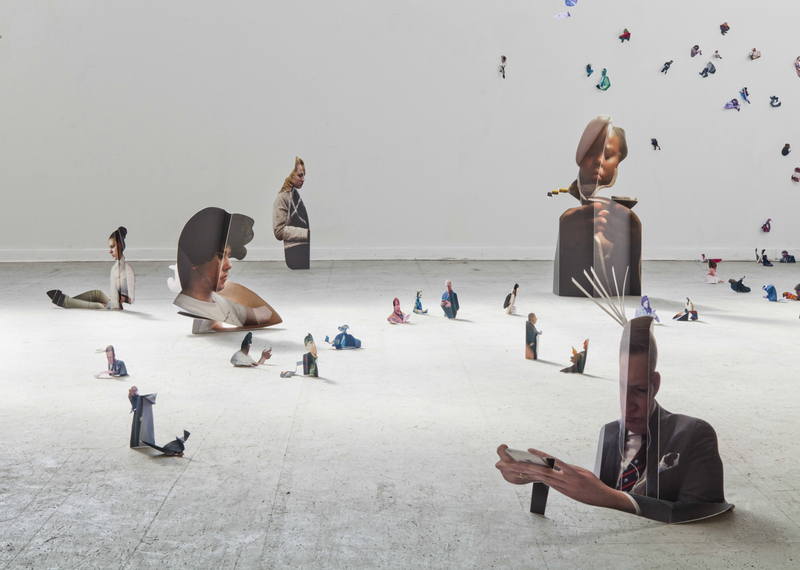 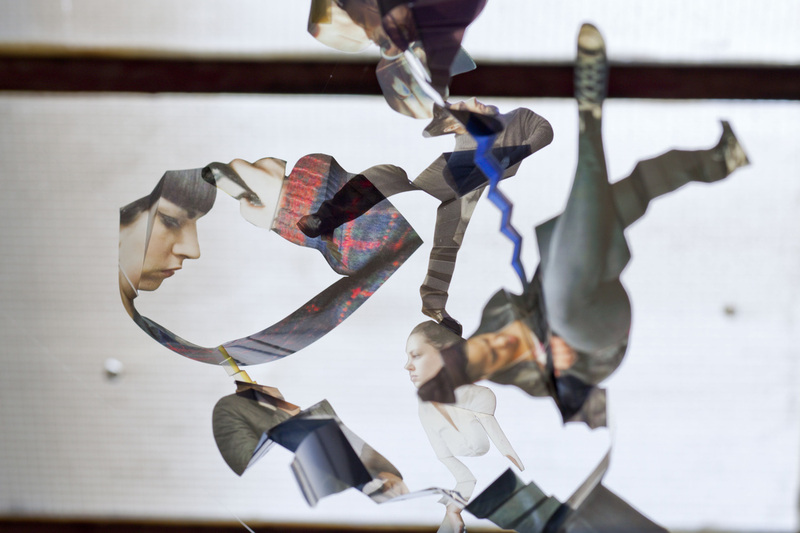 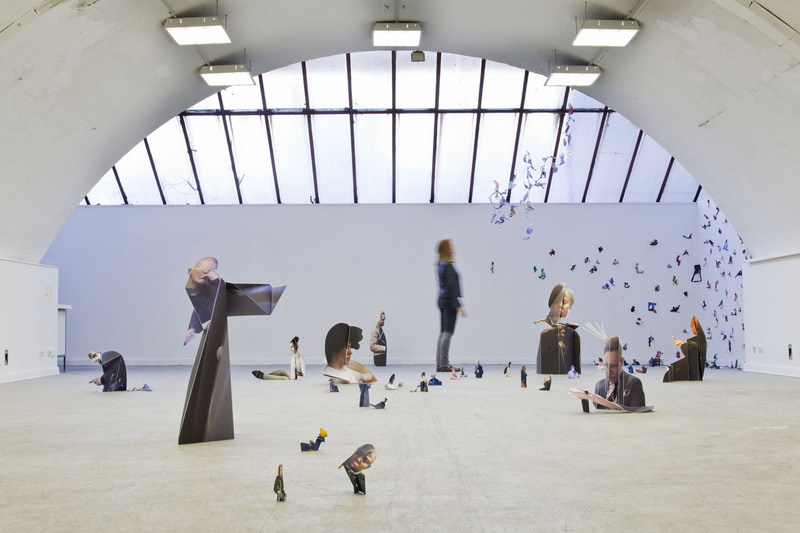 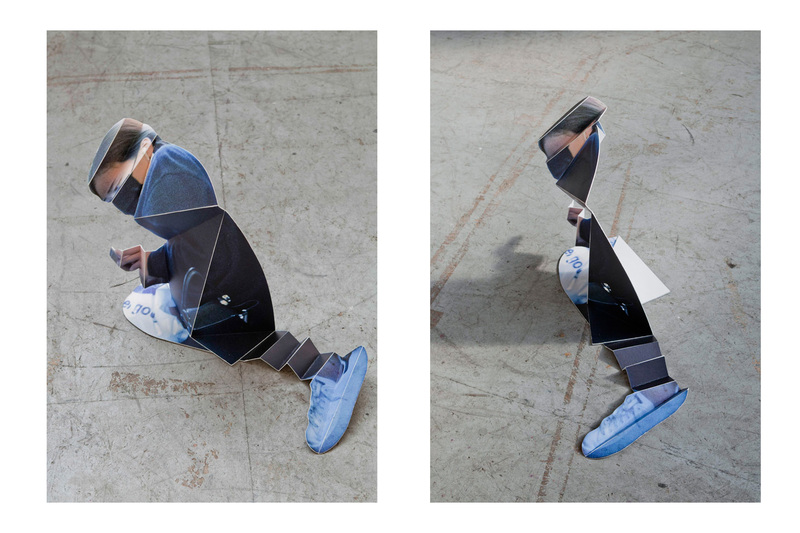 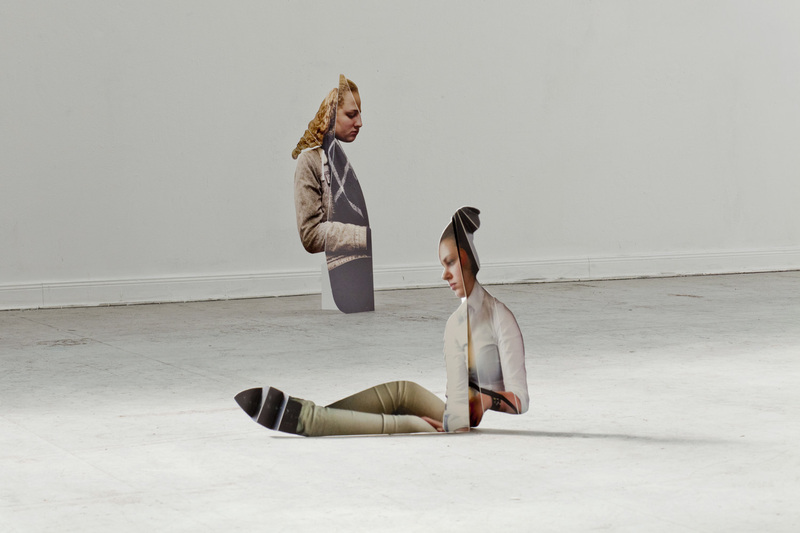 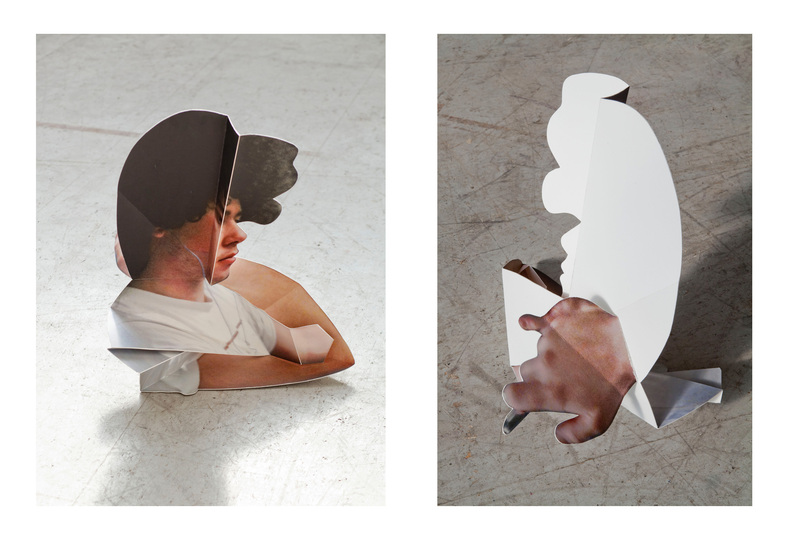 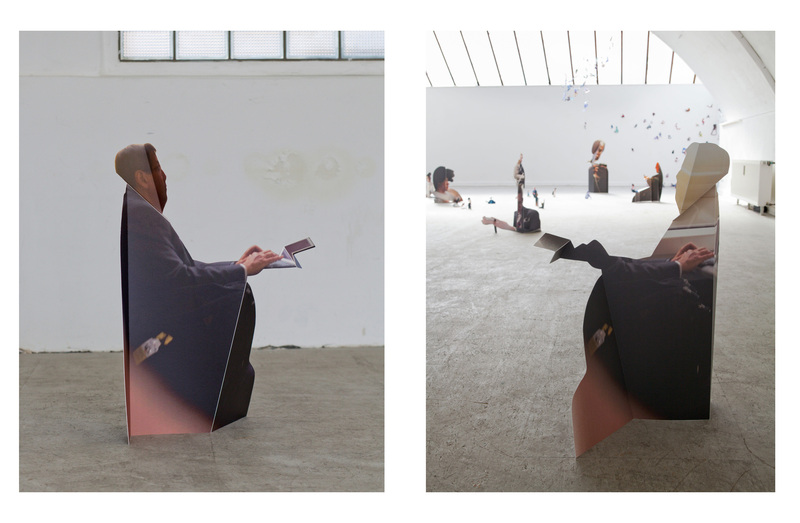 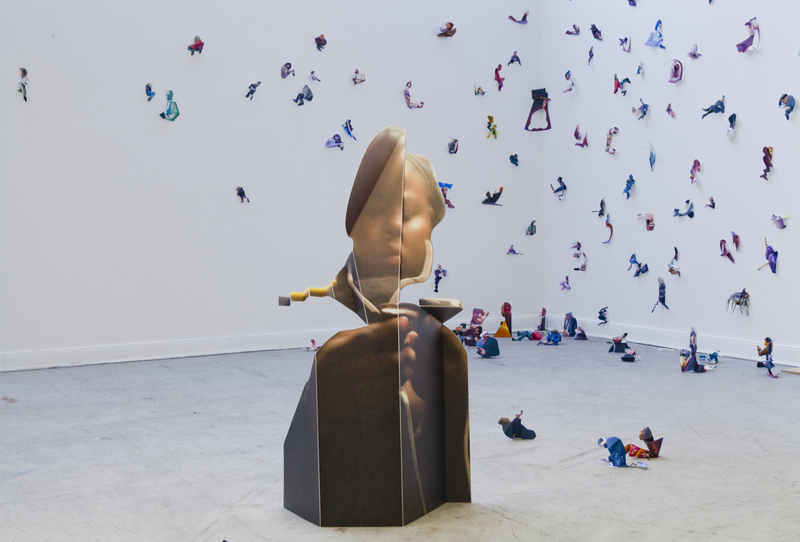 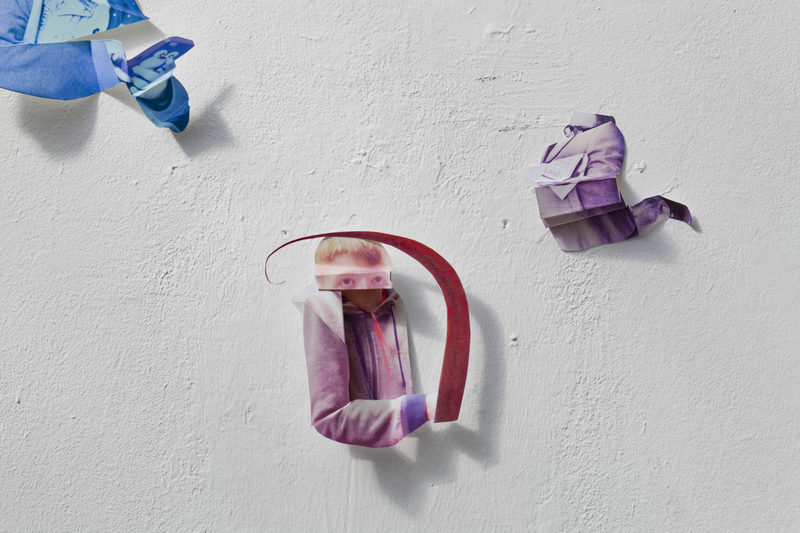 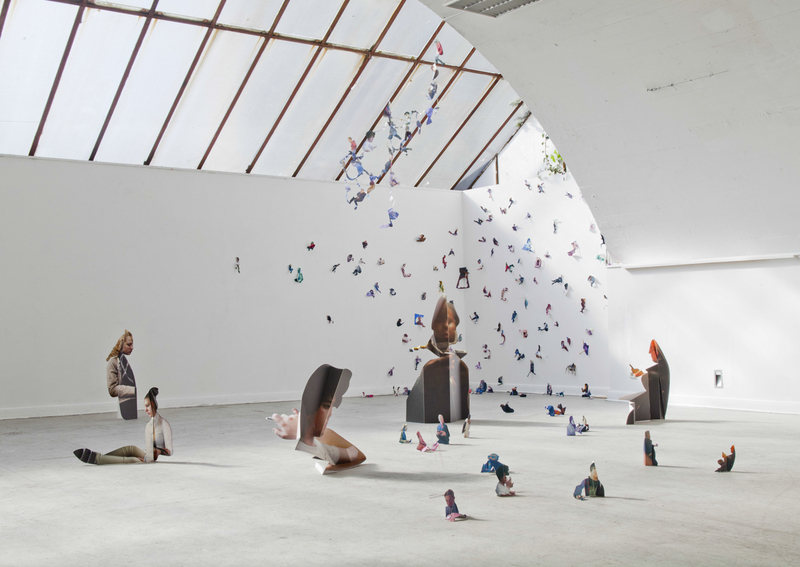 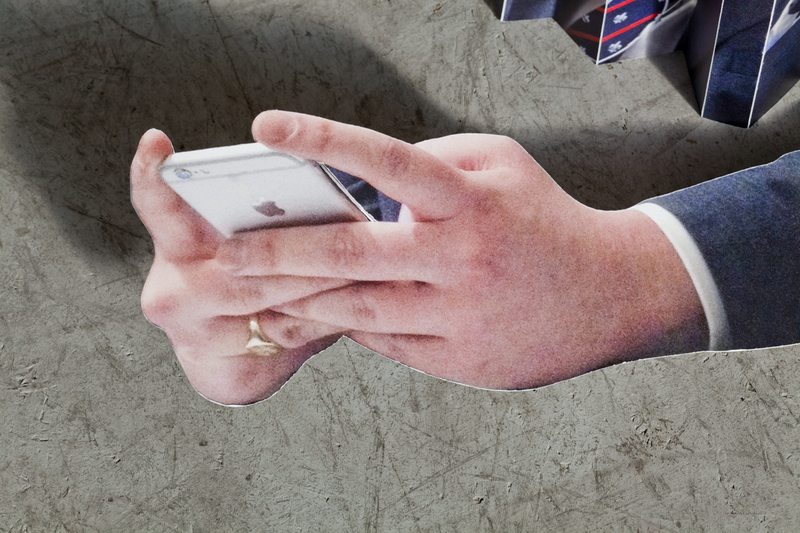 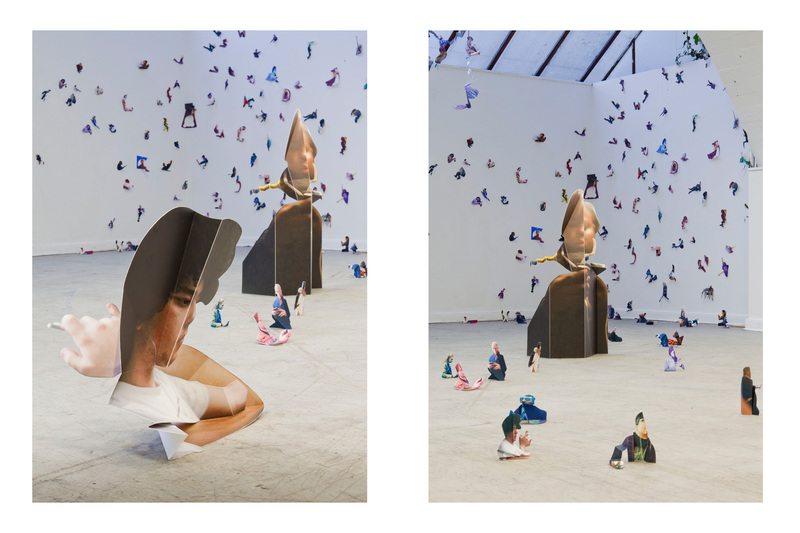 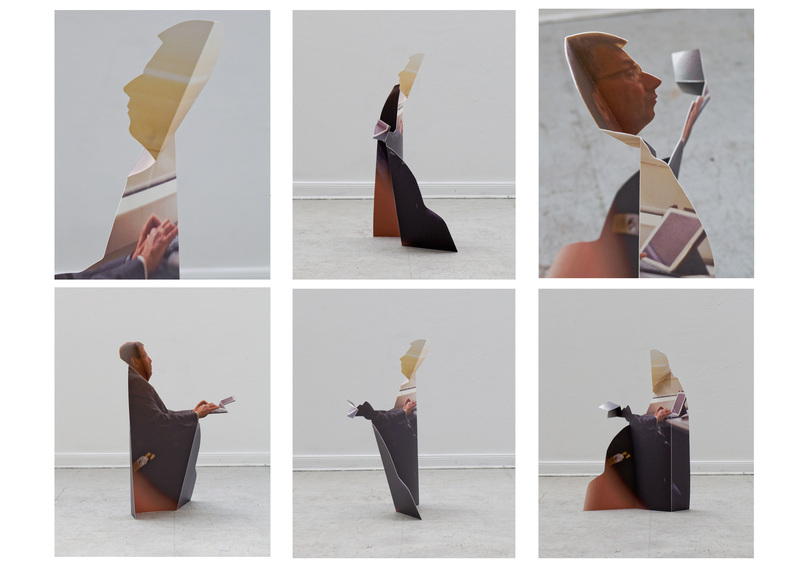 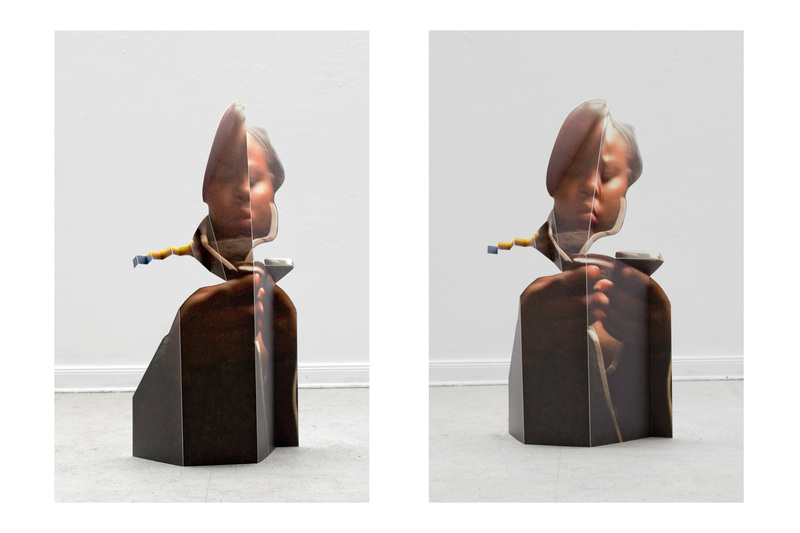 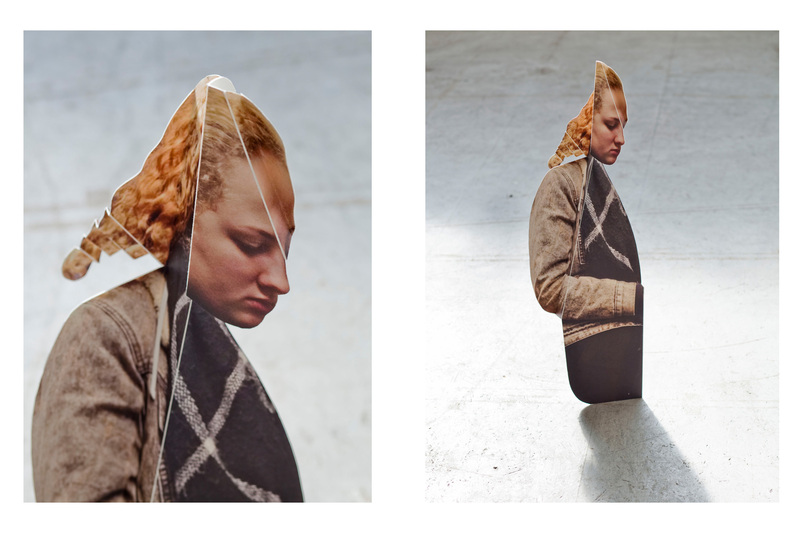 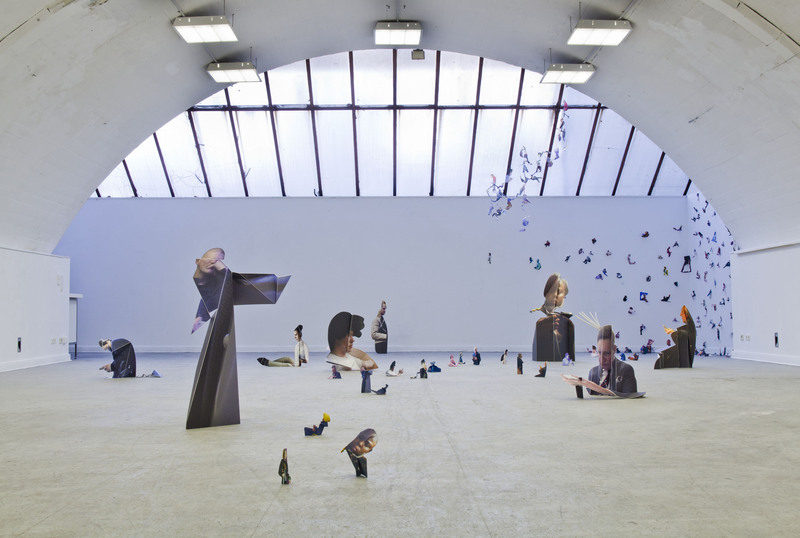 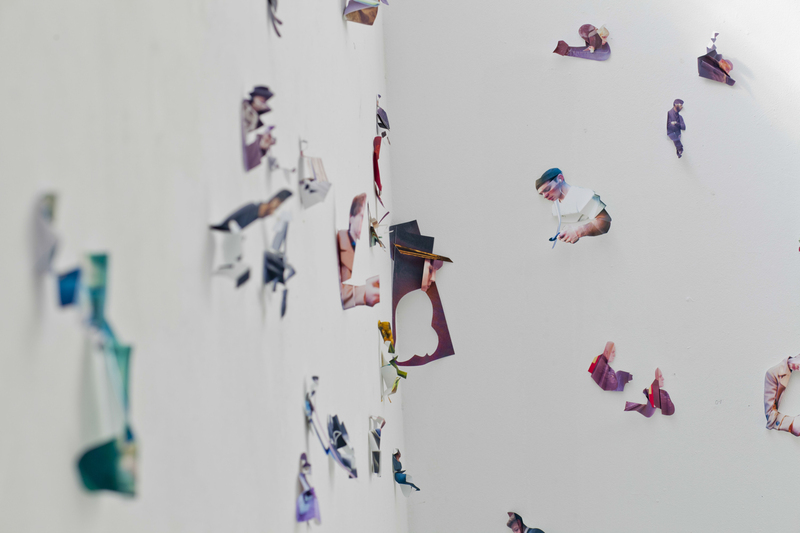 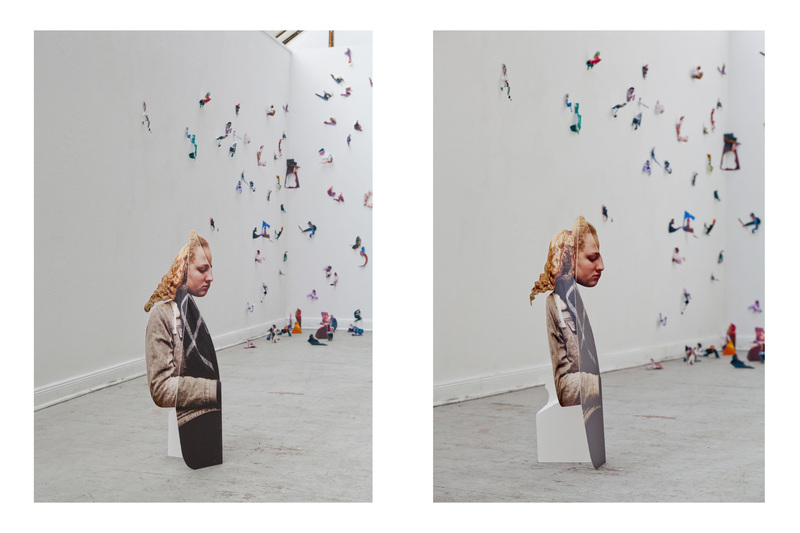 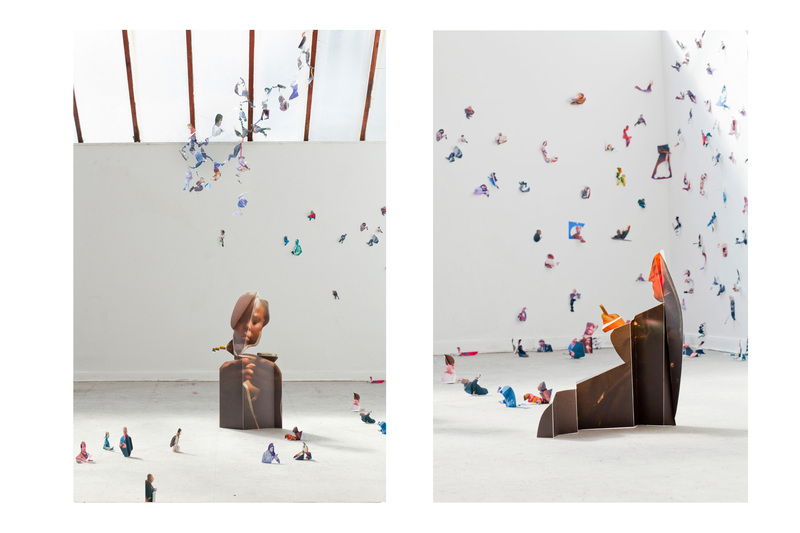 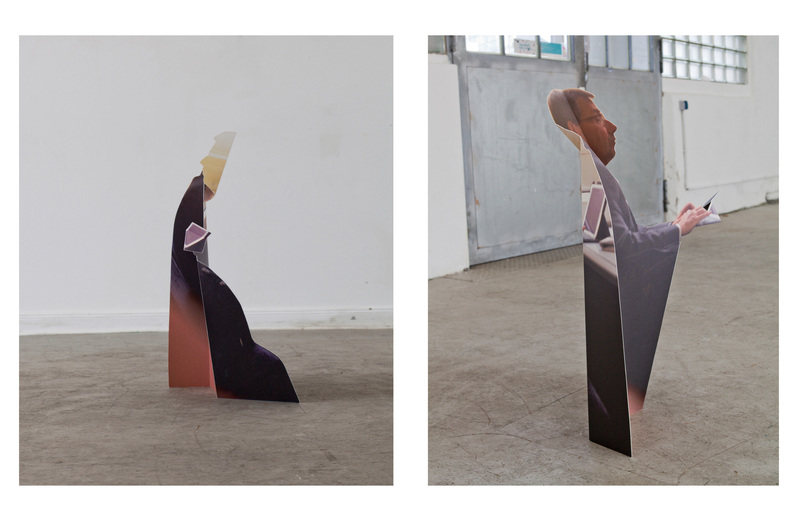 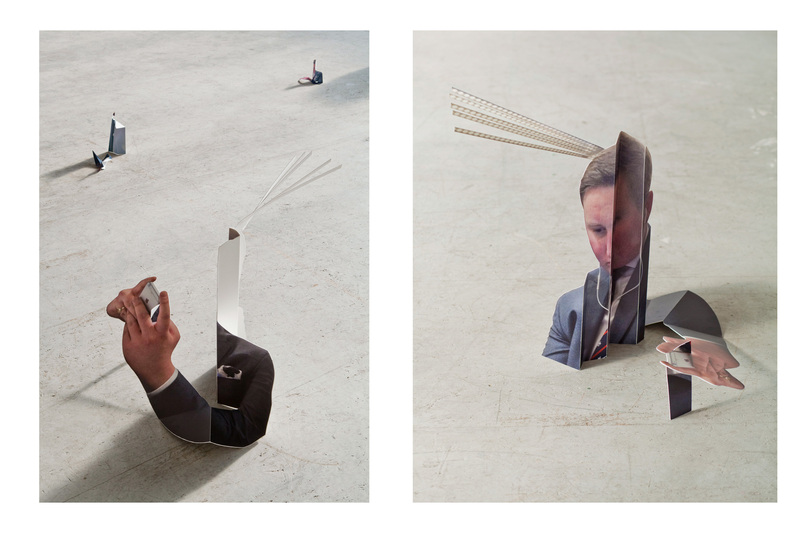 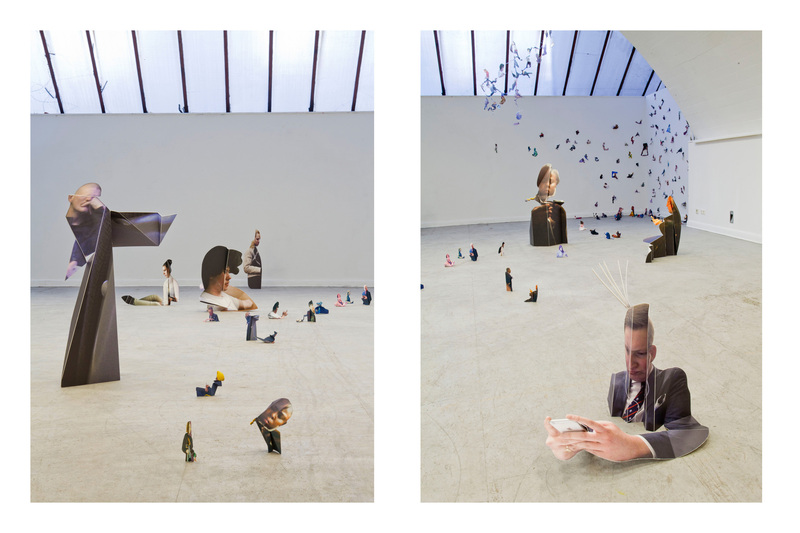 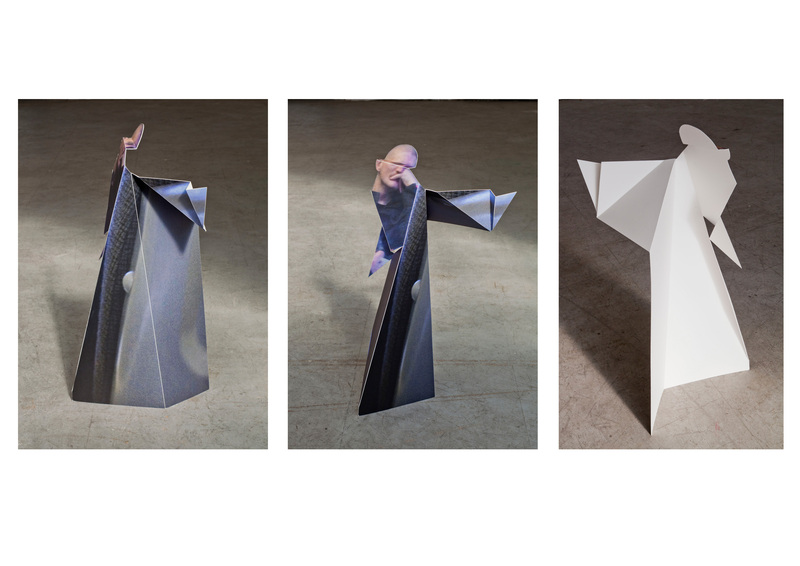 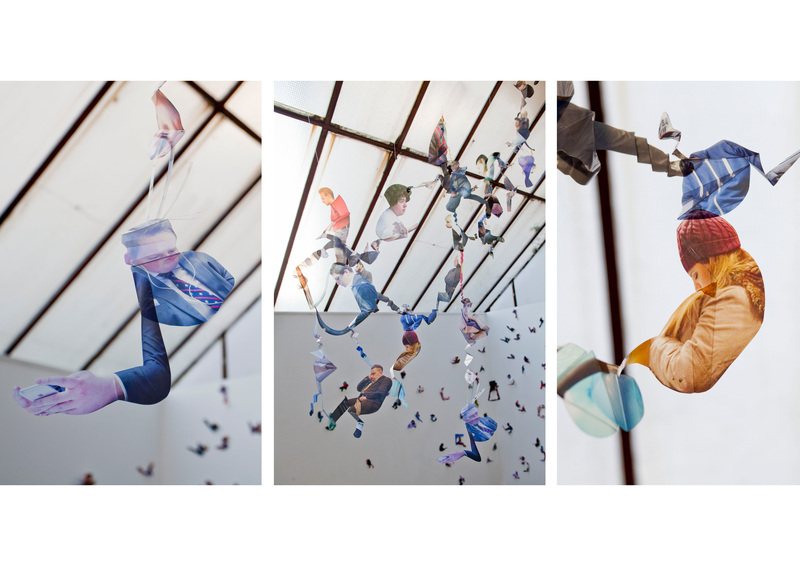 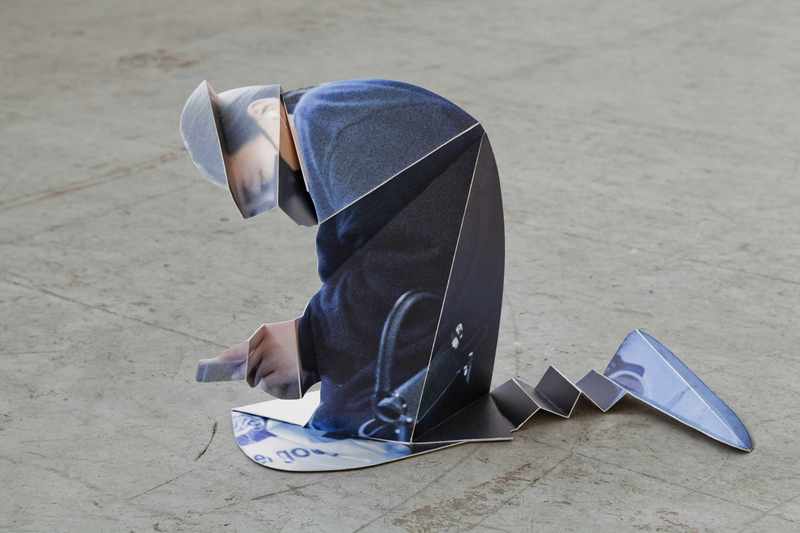 The bending and folding of cut – out photographic prints into three – dimensional sculptures exaggerate the physique and posture of the travellers. 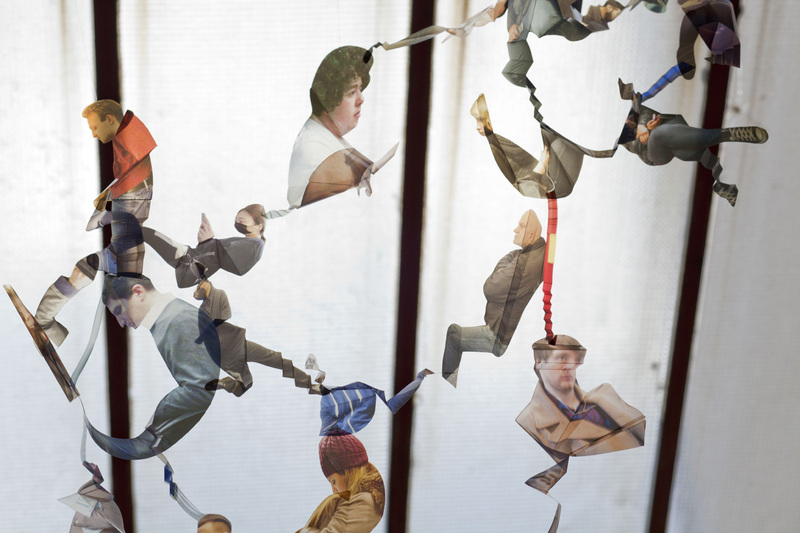 Almost all are wired and some seem to be in a praying position. 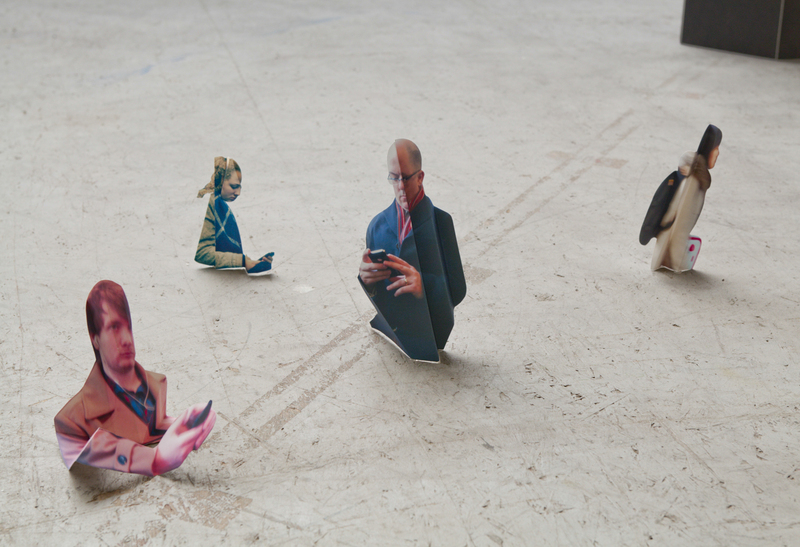 Visitors are able to walk around the cardboard sculptures and experience them from all angles. 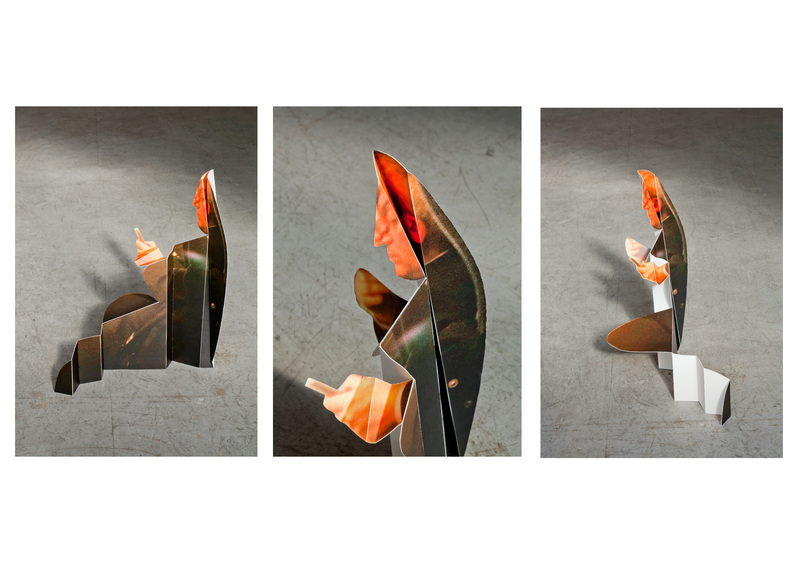 The title was inspired by Boccioni” work States of Mind: Those who go, those who stay and Farewells. 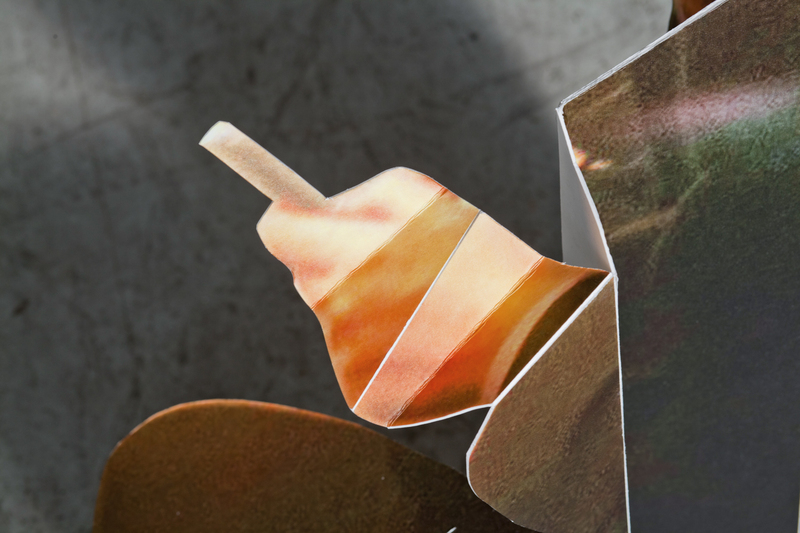 In 1911 the futurists were in awe of new machines and the velocity of speed, museums and everything old was discarded and the future celebrated.